Here, you see an over-head image of the sculpture of a pregnant woman and her two fetuses. She is fabricated wholly from grey churro sheep’s wool which I washed, carded, combed, and manipulated. I created her form by wet felting the wool in larger areas, and needle felting in detail areas such as her face, hair, hands, and feet. 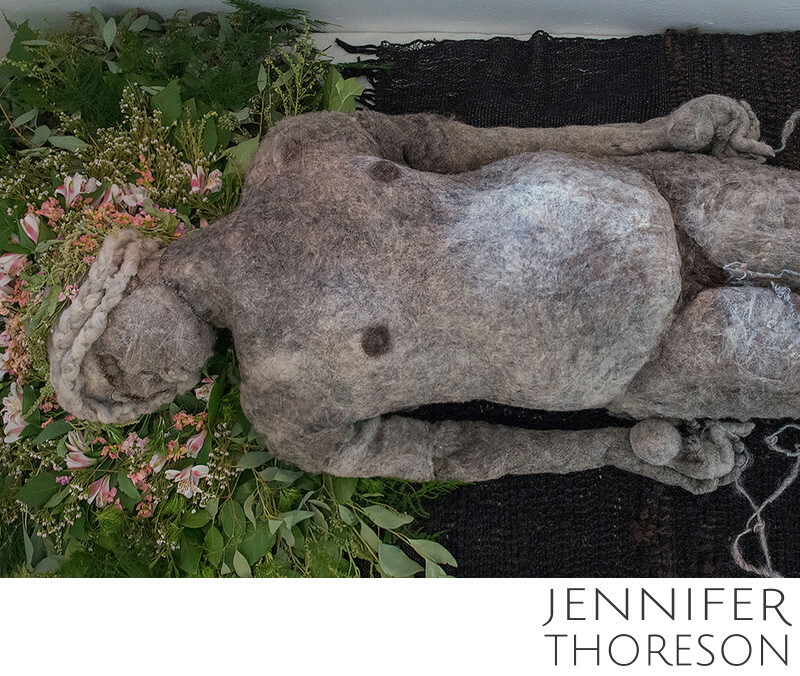 Sheep’s wool is used throughout this body of work as a symbol of the human spiritual experience, and as an illustration of our relationship to God.